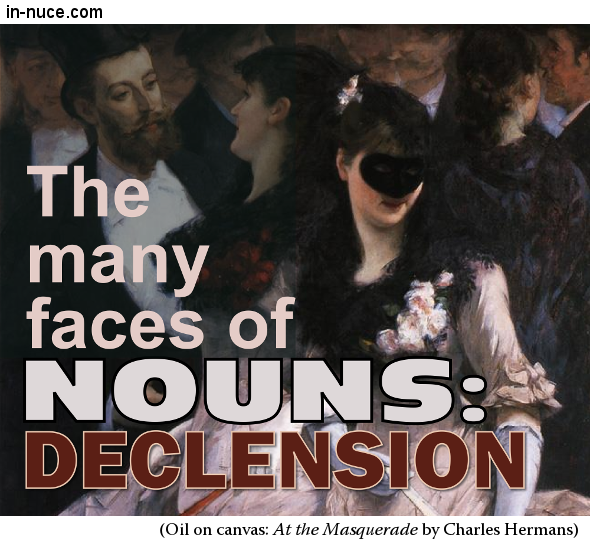 A noun’s declension is all the different forms it may take to indicate its number and case. a. The absolute case is not given, as it is always like the nominative. b. The case of a noun in apposition is not given, because it always agrees with the case of the noun it modifies. c. The objective case is given, though it is like the nominative, because pronouns have a distinct form for the objective case.